The problem with innovation is that too often it tends to be all about “me, me, me” – in other words it is about the mythical and heroic person with the best ideas or with an uncanny ability to get stuff done. But not only is this egotistical perception of innovation misleading and annoying, it’s destructive and ultimately counter productive. Even the most creative and inventive people, as important as they might be at certain times, never have ideas that are fully formed i.e. that wouldn’t benefit from further exploration, combination, or iteration. And more importantly, by putting innovative people on a pedestal, it discourages everybody else from joining in. And another corrosive side effect of the egotistical image of innovation is that it precipitates a blame culture. If your idea fails to work, as most of them inevitably will, then it becomes your fault, which again either leads to fear of participation or conversely an over-confidence to compensate for it. We’ve observed many times in workshops and events where, if you get everybody to contribute, then often the best contributions come from conversations between the least expected people. Outsiders often have the best ideas not in spite of their lack of knowledge, but because of it. Conversely by creating an environment that mitigates against too much ego then the results can be remarkable. 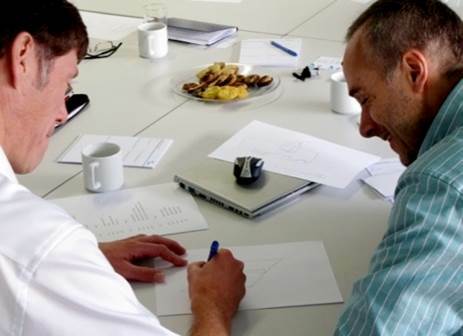 For instance we like to use techniques in workshops such as World Cafe where everybody gets to contribute to the developing a concept, to such an extent that by the end of the session it is impossible to say that came from any one individual. In fact at its best they can be attributable to each and every person that takes part. Also, we sometimes do little warm up exercise called Co-Drawing where you get people in pairs to draw a series of pictures together. What’s nice about this exercise is that it gets people who never draw to be visual which can spark a new way of thinking. And even if their pictures are often a little silly, the responsibility for it’s creation is shared and so is less alienating. And at it’s best you start to create something interesting, and then your partner will do something unexpected – and it’s how you respond to that which is the real lesson. And in some of our Online Jams, it’s great to be able to ask the same question of everybody participating and that they answer independently (which helps overcome both the dominant and the reluctant participant syndromes). And only once everybody has responded do we share the results which is always illuminating. If everybody has agreed then that is clearly consensus and we can move on quickly. However if there are different views then that is worth exploring more deeply and understanding why people responded differently. 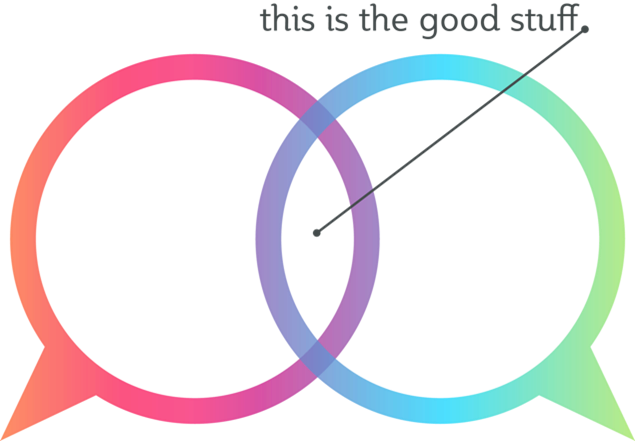 And we find in some of our online innovation communities (Co-Creation Crowds and Crowdsourcing competitions etc) that it’s always best for the overall effectiveness and outcome of the community, to reward and incentivise the best collaborative beheaviours rather than just to reward the best ideas. This idea was further reinforced recently in this excellent paper – From Crowds to Collaborators – by Kevin Boudreau & Karim Lakhani et al. The influential service design agency Live|Work talk about having a recruitment policy of looking for people with an absence of ego. And in our work on open innovation, where two or more partners are working together to create value together, it can also be advisable to pick humble partners too. Innovation at it’s best is about “we, we, we” instead of “me, me,me” so let’s ditch the ego and, as Valdis Krebs likes to say, start to connect on our similarities and benefit from our differences.